Things have been crazy and busy for me lately. I’m the kind of shopper that knows when you are looking for a dress the day before the party you can never find anything. So what I do is I purchase a dress when I see it, have it in my head I’m saving this for a wedding or a special night out. I’m currently working with different companies and making a conscious effort to put more of the exact items up that can be purchased, so please bare with me. Other than that things are going well. So let’s talk about this adorable plaid dress set. 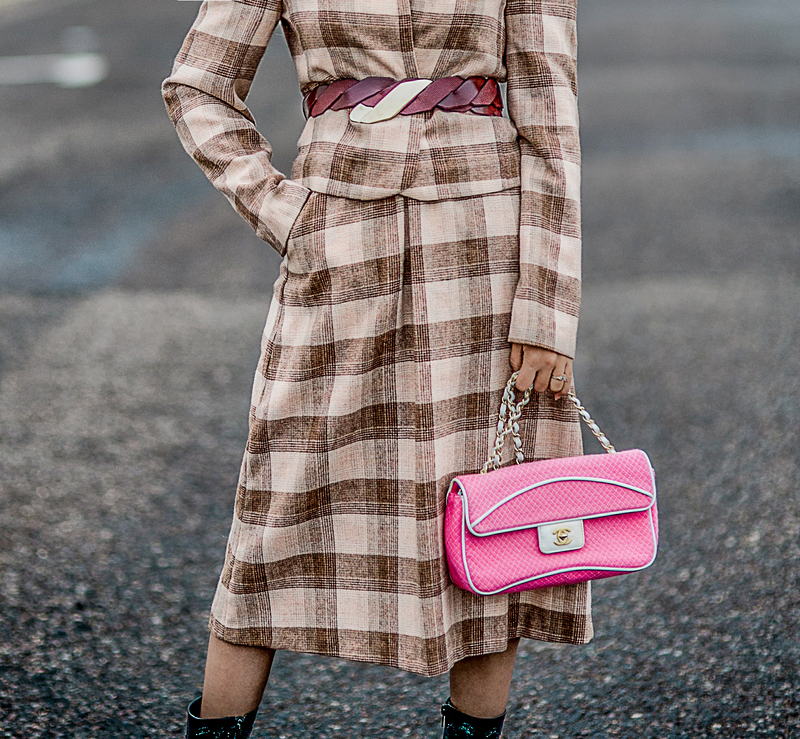 All of my other plaid dresses are a bit over sized and I like that too, but this one is perfectly tailored and has the perfect fit and you can use belt as well. Max Mara is such an awesome designer. I have my eye on a couple of her camel coats. Btw, loving these Scripp Metal Brow Bar Sunglasses from Raen. It also comes in 6 colors for only $185! I also adore classic and feminine handbags. Farfetch has such a great selection. So you can imagine that this Chanel Jersey Micro Quilted Medium Single Flap Pink will be on repeat these days. I especially love the beige color against my skin. So unexpected and chic! Thanks so much guys for stopping by. Hope your week is off to a good start. Girl! I love this outfit especially with the boot. So fierce! You look stunning as always Len. The belt really brings plaid look together, Len! You look beautiful! Definitely something I would wear because I am that girl that really loves a good two piece.You look great in plaid. Looking so chic and edgy out there dear! Love it! In love with your handbag, I love a bit of pink and that is such a vibrant shade.